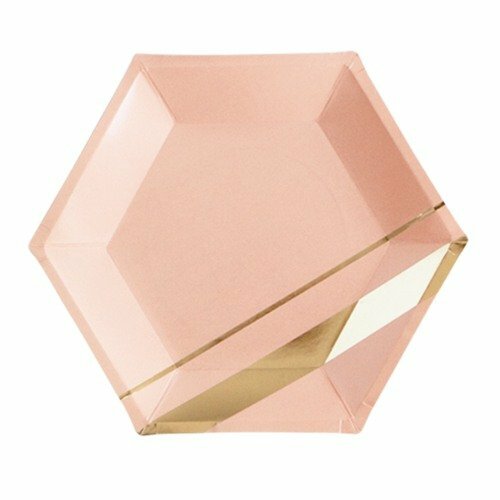 These blush hexagon large plates are the prettiest take on practical party supplies. With an elegant hexagon shape in a beautiful blush color and an artsy gold foil stripe, these plates are sure to impress your guests. Perfect for serving treats at any elegant soiree!